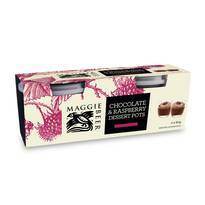 Made in our Barossa kitchens with fresh Australian cream, these velvety smooth desserts are a celebration of chocolatey goodness that make any moment, big or small, a little more special. 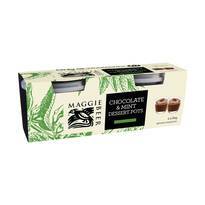 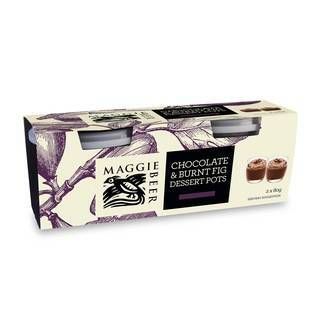 Beautifully rich chocolate with burnt fig –a temptation too good to resist! 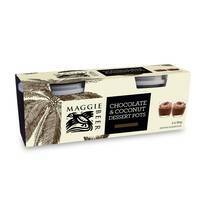 THICKENED CREAM(32%)(CREAM, MINERAL SALT (450, 500), VEGETABLE GUM (400)), EGG YOLK, SUGAR, DARK CHOCOLATE(13%) (SUGAR, COCOA MASS, COCOA BUTTER, COCOA POWDER, MILK FAT, EMULSIFIER(SOY), MILK SOLIDS), BURNT FIG SYRUP(11%) (FIGS (57%), SUGAR, BROWN SUGAR SYRUP (BROWN SUGAR, WATER, VERJUICE (PRESERVATIVE (220)), LEMON JUICE),WATER, GELATINE (PRESERVATIVE (220)).